Smoked Paprika is one of those ingredients. If a recipe calls for it don’t sub in regular paprika- do yourself a favor and go out and get a little tin of the smoked kind. It has a really deep…. well… smokey flavor. It gives a depth that you simply cannot get with regular paprika. 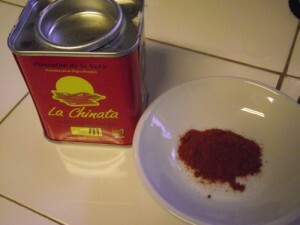 I’m partial to the La Chinata brand, but there are many good ones out there. So that’s my little tip for today- go out and get yourself some smoked paprika, crack open the tin and take a big whiff. You will immediately begin imagining all of the fantastic things you can put it in!